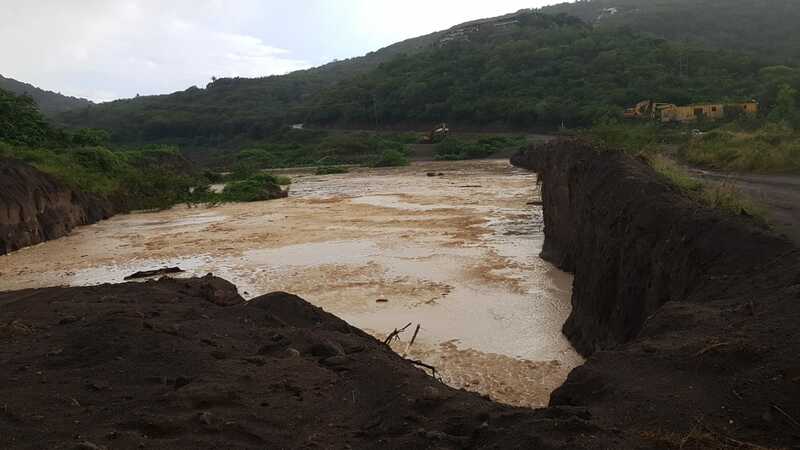 The Disaster Management Coordination Agency (DMCA) in consultation with the Commissioner of the Royal Montserrat Police Service (RMPS) has taken a decision to cease access to areas south of Belham Valley. The decision was taken due to the road being compromised and also to allow the authorities to carry out remedial work on the road in an effort to ensure the safety of all users. The road at Belham Valley will, therefore, be closed from 5 o’clock this afternoon and a further update will be given in due course. Persons, South of Belham are asked to make their way to the North immediately.